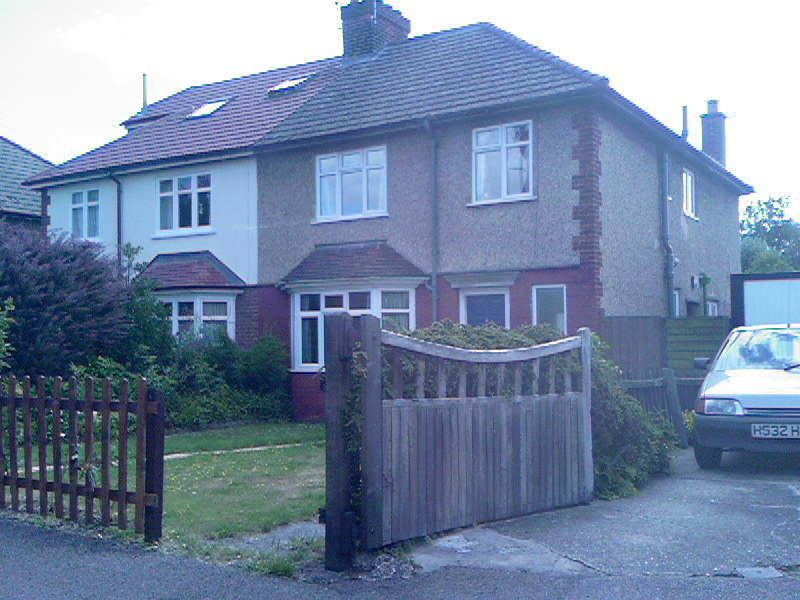 The above shot is a camera phone picture of Roger (Syd's) house taken this week" (courtesy of John Lenihan). "There were just a few flowers at the gate. Also a Google Earth satellite picture showing the house and the mysterious back garden. There is not much evidence that he did a lot of gardening, a few bushes around the edges but otherwise mostly lawn. Google Earth satellite pictures are always a bit out of date and clearly the house next door has had a new roof and loft conversion in the meantime. I wonder how Roger (as he liked to be called) coped with all that noise from next door while that was going on. Interestingly in the satellite photo, is that Roger's bald head by the shed near the centre of the picture?"